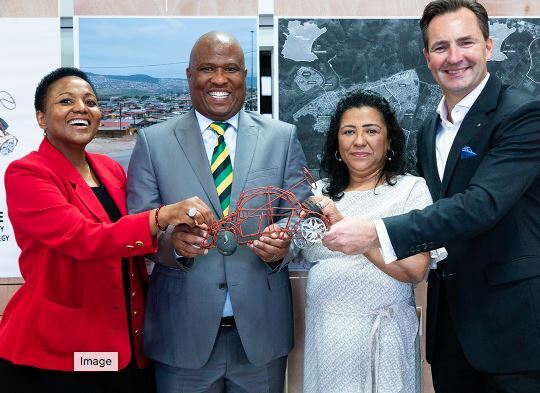 The Board of Trustees of the Trust recently hosted an event to present the report on its performance and was attended by the MEC for Finance, Economic Development, Environmental Affairs and Affairs in Eastern Cape, Oscar Mabuyane. The Trust is focused on increasing the number of quality black-owned suppliers in the automotive sector value chain, by providing financial and non-financial assistance. The advice and support provided by the Trust is offered to qualifying black-owned suppliers as well as white suppliers that are interested in becoming black-owned, and is managed by an independent Board of Trustees. Chairman and Managing Director of Volkswagen Group South Africa, Thomas Schaefer, said: “Volkswagen is fully committed to the transformation of the supply chain of the automotive industry as this is the right thing to do. It is important for the OEMs to collaborate in developing new black suppliers to ensure that their businesses are sustainable and competitive. We appreciate the sterling work and contribution that the Board of Trustees has achieved in a short space of time. We are also grateful for the ongoing support from the DTI and Eastern Cape government." “Our government is working on aligning the curriculum of TVET colleges with the requirements of local OEMs, like VWSA, to ensure that we develop right skills that are required for our economic growth,” Mabuyane added.